Not only that, Dean has also joined us in the blogging world and he has joined the up and coming tribe of Daddy bloggers coming our way...we need to up our game girls because a Daddy's point of view is becoming very popular indeed! So here is my little chat with the man himself. Hi Dean and thank you so much for agreeing to answer some questions for Bad Mum magazine (aka Bad Dad.) 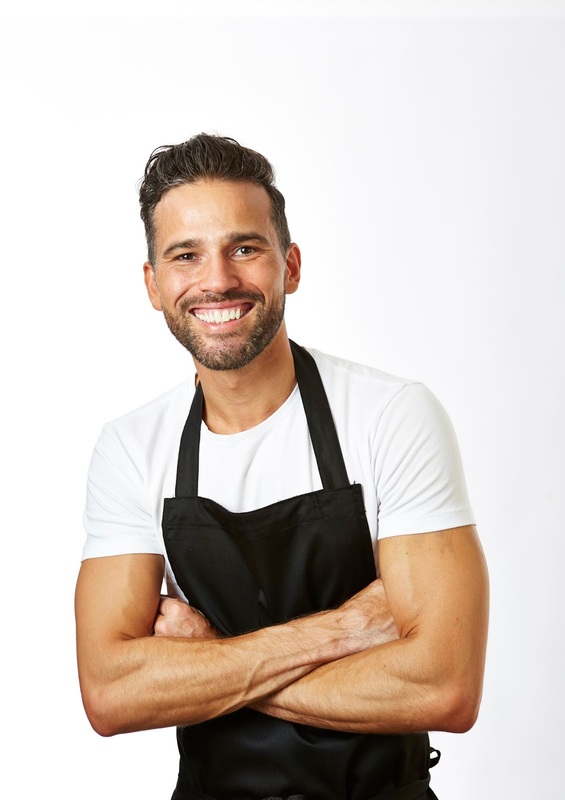 You are best known for being a Masterchef finalist in 2006 and now on our TV screens cooking for Lorraine in the mornings but you are now turning your hand to blogging. What made you join this mad blog world and it is quite a change for you? I was actually inspired to start blogging by a good friend of mine, I contributed to one of her posts and she prompted me to have a go myself, saying that Its very much a change for me, I’m not naturally gifted as a writer, so probably takes me twice as long to blog but I’ve definitely found its an incredible outlet for me. It’s in my nature to be fiercely private so it’s this that is the real challenge for me. I am very wet behind the ears but I’m very much enjoying the experience and I love being part of the blogging community. Will you be blogging about your passion of cooking (which would be great) or are you going down a whole new avenue? 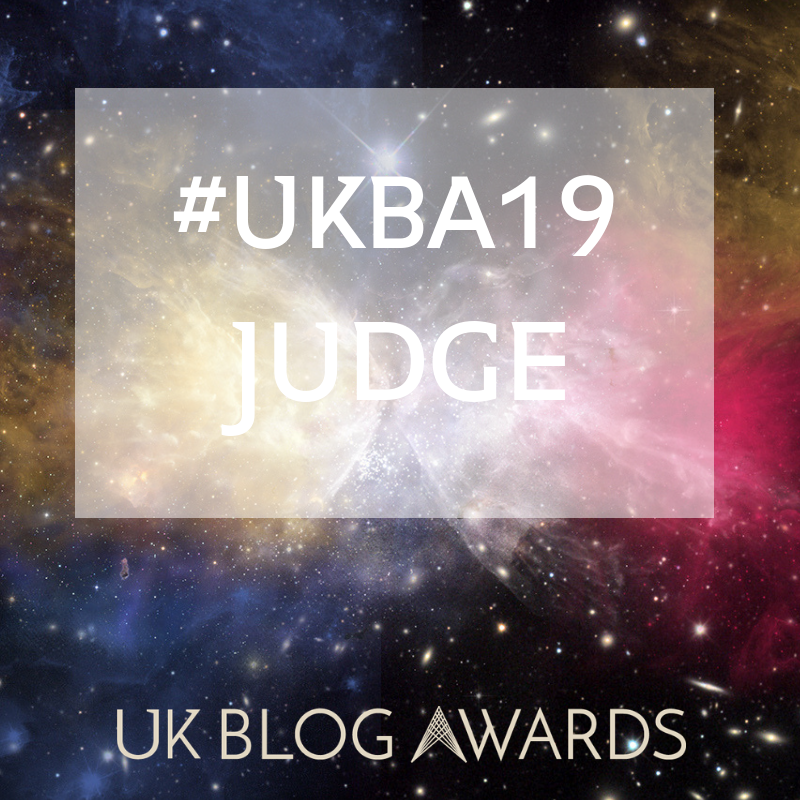 When I initially started the blog I definitely thought it would be food dominated but crazily it’s the blog posts about everyday life that people seem to love. I realise through my situation that I have more to offer than just tips on how to get your kids to eat their vegetables. It all comes down to passion; I couldn’t dedicate myself and my time to something I didn’t feel strongly about. I’m passionate about being the very best Dad that I can be and I want to share my story. You are also a father to the beautiful Indie-Roux (LOVE that name!) The blogging world is seeing more and more Dad bloggers creeping in and doing very well! Which I think it is great and I love hearing things from a man’s point of view for a change. Will you be joining this new dad blog revaluation and give us Mum’s a run for our money? I’m definitely going to try! Blogging is female dominated, but that’s not to say us blokes cant give you a run for your money ha ha. In all seriousness I really don’t think there are enough male voices when it comes to speaking out about parenting. Whether that’s a masculine thing whereas we don’t like to admit our shortcomings but I think hearing parenting tales from a male point of view can be very beneficial. 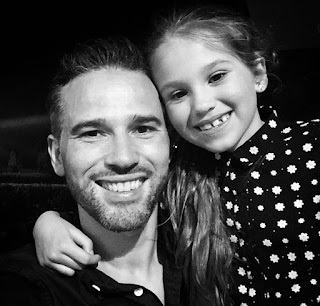 I often found myself taking the secondary parenting role due to the fact that I felt totally out of my depth but I’m over that now, a father can play a very influential role in bringing up a child and I think I have good advice and knowledge to share so blogging is the perfect platform for me. I ask all my Mum’s this same question so it is only fair that I ask you the same too. We all have good and bad parenting days and we all do what we need to do to survive. How do you get through the tough days and what advice have you learnt along the way? Parenting is a journey for both adults and children, we are both learning on a day-to-day basis. By no means do I think I’ve done everything as a parent perfectly, I’ve made loads of mistakes. Sometimes I wish I had been given advice that might have swayed some of the decisions I have made along the way, I spoke about this to my Dad who added “well Dean the advice was always there its just you chose to ignore it” I had never really thought of it like that. I guess I just make it up as I go along, it all does really come down to this question “is my little girl happy and content?’ if the answer is yes then that’s good enough for me. 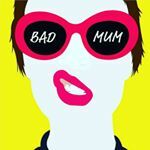 Over the last year or two, parents have seemed to get very honest on social media and sharing warts and all; do you feel this is a good thing and does it help to see other Dad’s experiencing the same as you? I think it helps me to see others in the same boat as myself, seeing how they deal with the specific challenges of everyday life. The one thing I did promise when I started blogging is that I was going to be honest, regardless of the fantastic life most of us portray across our social media platforms we all have problems. It’s refreshing to see people addressing these issues in public as we can identify with that. How do you juggle working on the TV, being a Dad and normal life too? It is a tricky balance, and throw into the mix being a single parent it does bring its very unique challenges. Luckily for me Indies mum is my best friend and we do what we can, whenever we can to help each other out and make Indies life as easy as possible. Funnily enough its this dynamic that has shaped the way that I parent, as I don’t have my girl every day I totally make sure that on the days I have her I totally spoil her with my attention. Luckily for me Indie has experienced my work life too, I often take her to the studios so she can share in the unique situations I find myself in. that to me is the best of both worlds. Sorry, but I must ask, is Lorraine as nice in real life as she is on the TV? Please don’t shatter the image I have of her!! Ha I knew that was coming! That is the one question I get asked the most, and always one I’m happy to answer. She is amazing you will be glad to hear, I’ve learned so much from her over the years, Lorraine has a gift, she automatically makes everyone in her presence feel immediately comfortable. I genuinely feel honoured to be part of such a flagship show working with such a legend. 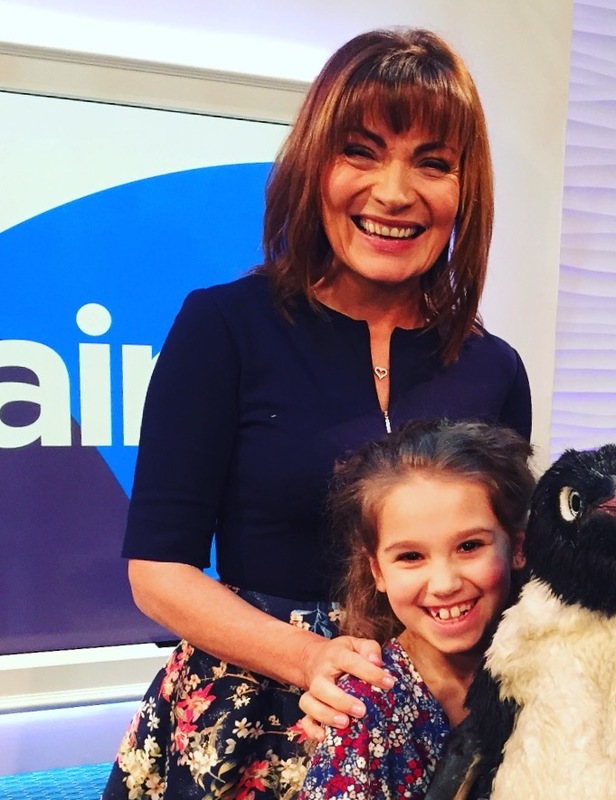 How did you land the job of working on Lorraine, cooking in the mornings and what does Indie-Roux think of her famous Daddy? When I got my job at ITV, I was interviewed by an incredible lady called Sue Walton who has had a massive impact on my life, she believed in me and gave me a chance, I never believed for one second I would ever get such an amazing opportunity. In the beginning through confidence issues I was in danger of ruining the opportunity, I had a word with myself and decided that chances like that come around once in a lifetime and grasped it with both hands. Can’t believe I’m still there 8 years on. Its so funny, Indie actually couldn’t care less, I guess she has never known anything different so just takes it in her stride, even when asked to get involved in filming herself she just rolled with it and makes me proud every single day. I think secretly she is proud of me and takes every opportunity to rope me into cooking at her school. Everyone must leave me with a parenting confession they have never shared with anyone else before. If it helps, go and do a shot first! OK here goes my confession, after the 479th time Indie calls my name on an evening after school I always answer under my breath “for F**ks sake” before calling out sweetly “what can I get for you darling?” ha ha fellow parents you know what I’m talking about. Thank you again Dean and good luck with your blog; I am sure it will be great! You are welcome on Bad Dad anytime. To find Dean's new blog visit here. Photos credited to Dead Edwards.